When a loveable bogan hit Australian big screens and asked “how’s the serenity?” the story of a man’s quest to keep his home was cemented as a cult classic. Michael Caton’s character in The Castle, Darryl Kerrigan, was not going to stand for the forced purchase of his home for a mere $70,000 – but that was the going rate for a house in Broadmeadows, just south of the Kerrigan house, and then Melbourne’s cheapest suburb. The year was 1997. Hanson’s MMMBop topped the charts and was forever stuck in everyone’s head, Titanic had movie-goers in tears, Harry Potter and the Philosopher’s Stone was released (the book, not the movie) and Melbourne’s median house price was $177,500. Just over 20 years later, things have certainly changed at the bottom end of the market. 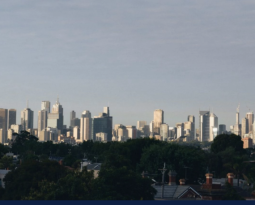 Melbourne’s ever-expanding boundaries have meant suburbs up to 70 kilometres from the city have pushed Broadmeadows (2017 median $575,000), Heidelberg Heights ($731,000) and Sunshine ($780,000) out of the 10 most affordable suburbs list, according to Real Estate Institute of Victoria data. 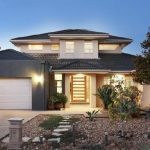 Melton was the only suburb to stay in the most affordable ranks with a median of $360,000 – more than four times what it was in ’97. REIV president Ricard Simpson said Melton was still growing, with surrounding suburbs to the west and south popping up in the past 20 years. At the top not much changed. 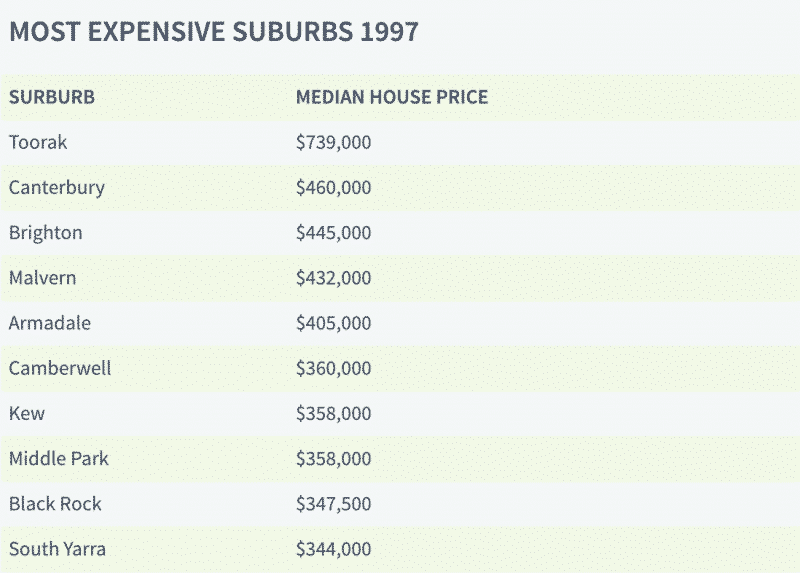 The four most expensive suburbs 20 years ago are the same today – Toorak, Canterbury, Brighton and Malvern. Camberwell and Middle Park also made the top 10 both ’97 and 2017. 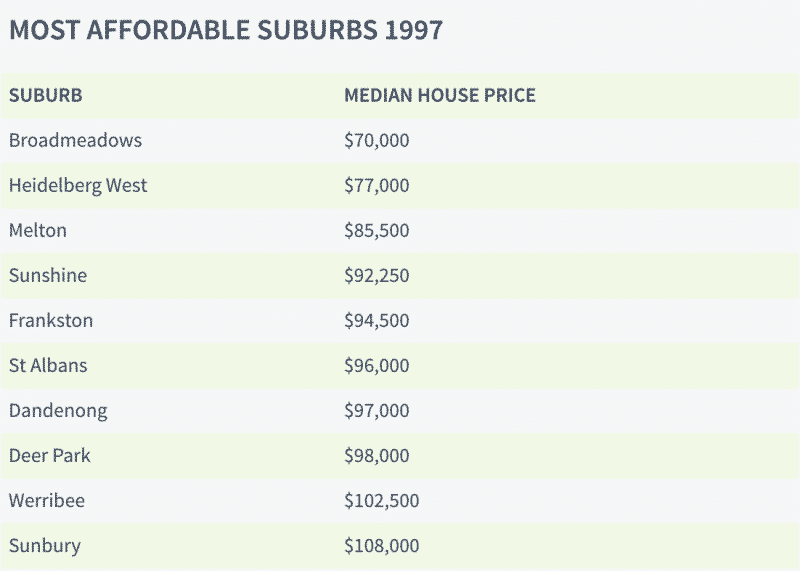 But you’d be dreamin’ if you tried to pick up a home in these exclusive ‘burbs at 1997 prices. 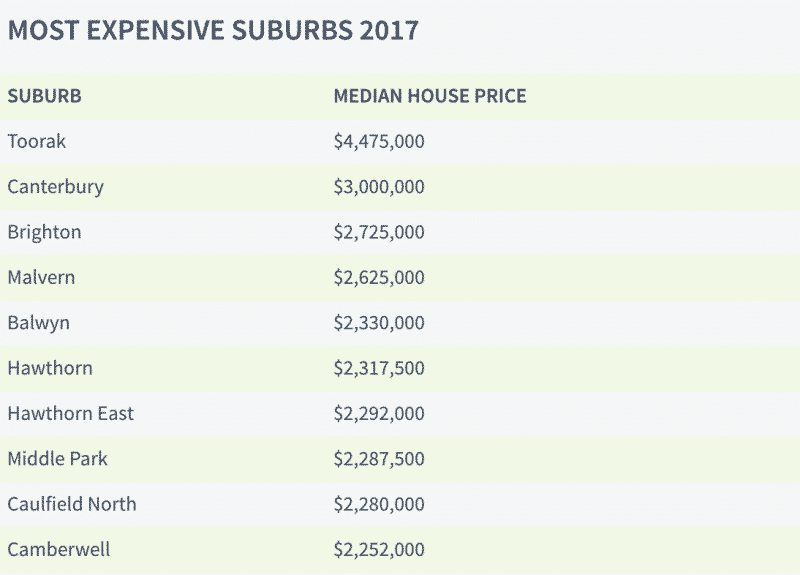 Toorak’s 2017 median was six times what it was 20 years ago at $4,475,000 (yes, back then you could buy for $739,000 in the posh locale – just under what you’d pay in Heidelberg Heights today). 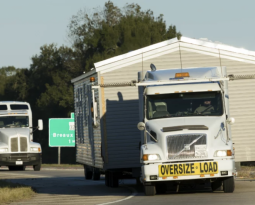 Location, land size and top-notch schools were what kept the same players in high-demand, Mr Simpson said. 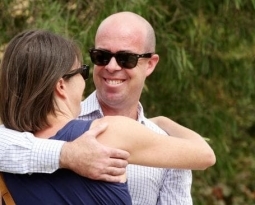 “They’ve all got what you’re looking for, access to public transport, not too far from the city, all good schools – private as well as public and that drives the growth,” he said. 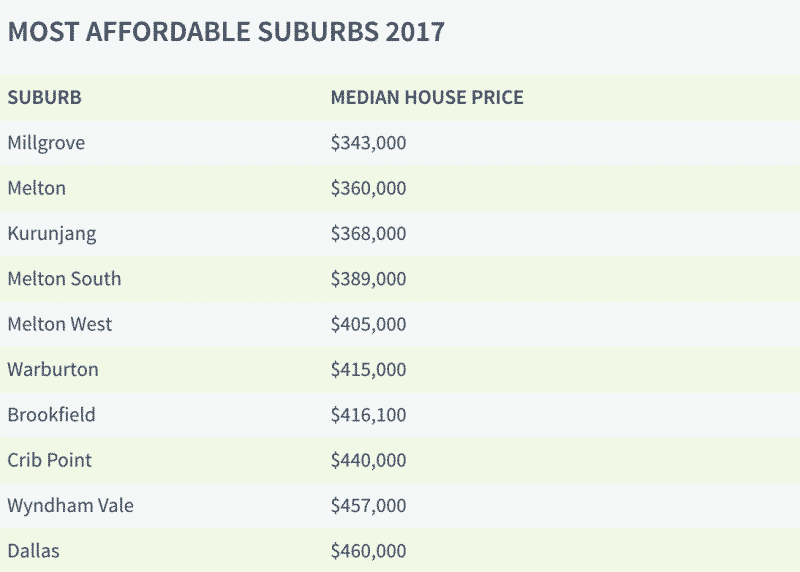 Suburbs that missed the most expensive list in 2017 were Armadale, Kew, Black Rock and South Yarra – but each had still had medians at least five times greater than 20 years ago. 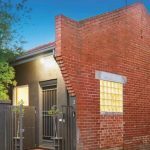 Balwyn, Hawthorn, Hawthorn East and Caulfield North were newcomers to the top 10, each with medians above $2.2 million. 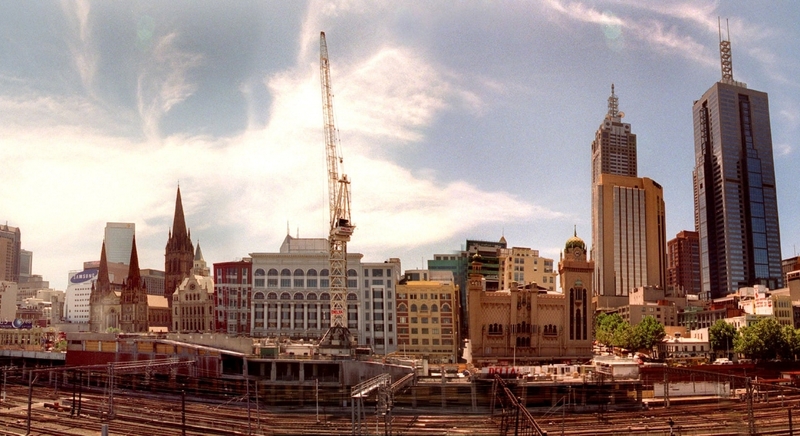 Mr Simpson said no one could have predicted the rapid price-growth across Melbourne over the past 20 years. 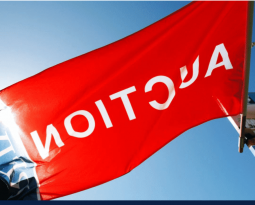 “Melbourne’s median house price has gone up by over 300 per cent in 20 years – which is amazing – but weekly wages have only gone up 121 per cent,” he said. He predicted that in another 20 years, the same suburbs would still feature in the top.